Originally created in 1852, during Clay’s lifetime, the first version of this print was published in Louisville, Kentucky. 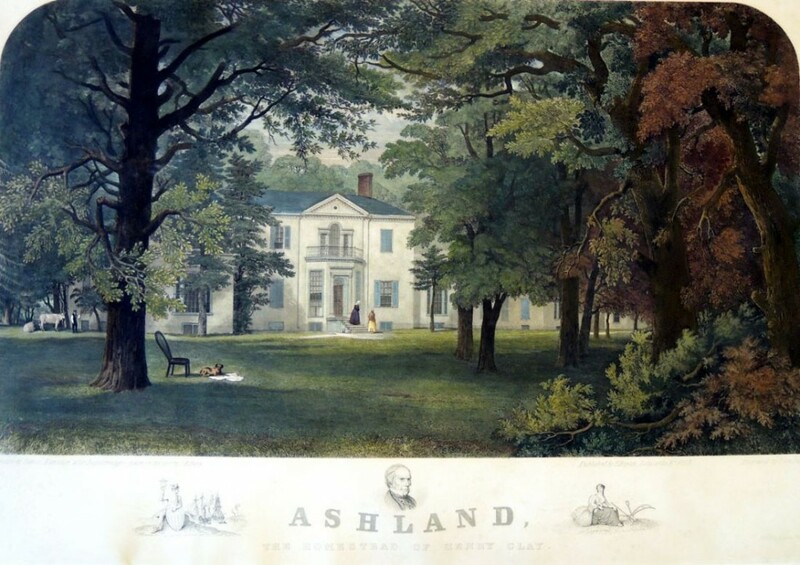 According to Eric Brooks’ book, Ashland: The Henry Clay Estate (2007), the first version or state showed Henry Clay sitting in a chair on the left side of the lawn. 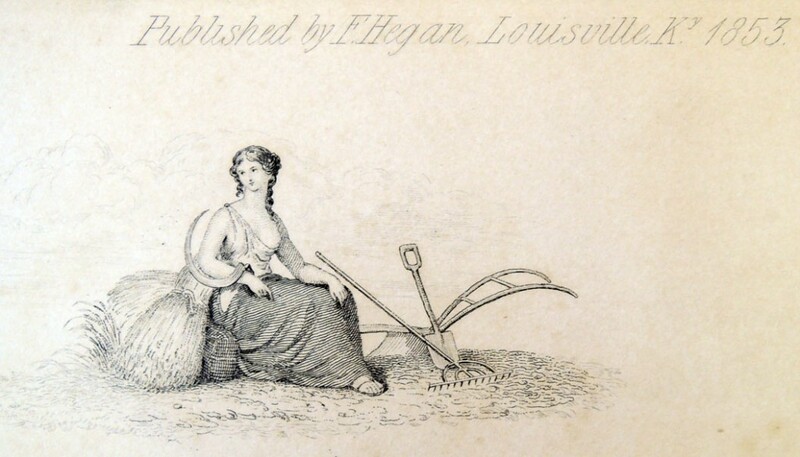 When Clay died, Sartain quickly reworked the plate, removing the figure from the chair, and published a second version in 1853. A third print was completed in 1863 with Clay back in his chair, which was published by Sartain in Philadelphia and R.R. Landon in Chicago. It is the second version with an empty chair that the Graphic Arts collection has acquired. This enormous print shows Ashland, the 600 acre Lexington, Kentucky, estate of Henry Clay (1777-1852). 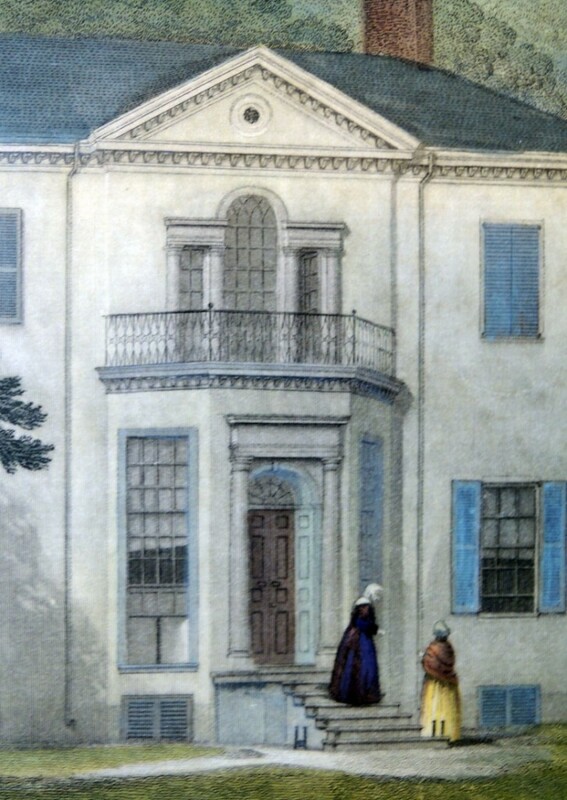 The family lived on this plantation from 1806 to his death, although Clay was often in Washington D.C. He ran for president of the United States five times from 1824 to 1848 but never succeeded in being elected. Below the scene are three additional images. 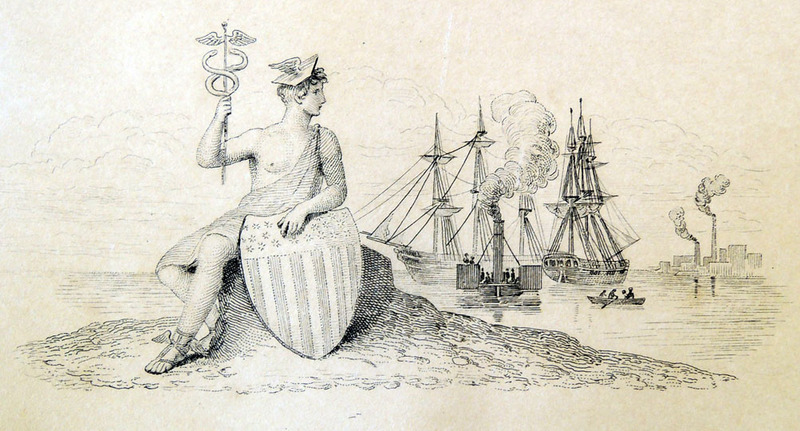 On the left is a figure of the God Hermes holding a shield; in the center is a bust of Henry Clay; and on the right is Demeter, the Greek goddess of agriculture sitting on a shock of wheat cradling a scythe. The same note as the first state is at the very bottom: “Entered according to Act of Congress by B. Lloyd in the year 1852 in the Clerk’s Office of the Dist. Court of the U.S. for the Dist. of KY.” An advertisement for this print can be found in the Lancaster (Pa.) Examiner and Herald, Wednesday, August 3, 1853. Nathaniel Currier (1813-1888), Henry Clay, no date. Lithograph. Inscribed, below: “Henry Clay. Nominated for Eleventh president of the United States”. This entry was posted in Acquisitions, prints and drawings on February 16, 2014 by Julie Mellby.